Like watermelon, Cucumbers are 95% water, which makes them great for staying hydrated on hot days. They are also an excellent diuretic for tissue cleansing when juiced. They are rich in vital nutrients that are often deficient in a typical American diet, e.g. a vitamin K, B vitamins, copper, potassium, manganese and vitamin C.
Help to protect the health of the brain, improving memory function. Inorganic are highly contaminated with pesticides, according to EWG. Waxed cucumbers may be waxed with petroleum based wax or shellac. 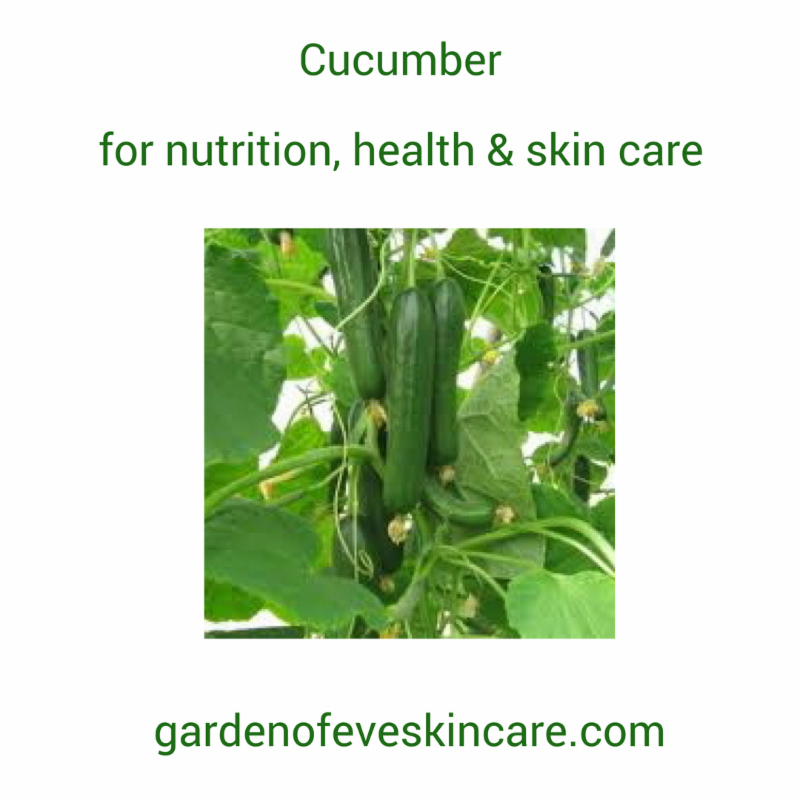 Cucumbers are easy to grow. They even thrive in pots. Use as a compress for red, puffy or tired eyes.